LIMA, Peru–Quinoa, the superfood originating in the Andean region of South America, swept the world off its feet and left health conscious consumers insatiably craving for more. Yes, with the United Nations Food and Agriculture Organization (FAO) officially dedicating an entire year (2013) to the omni-beneficial quinoa, its quality as highly-nutritive antioxidant nourishment packed with innumerable impossibly-difficult-to-pronounce organic compounds, is well known. However, little do we—the unaware consumers of the developed world—know that our quest for the fiber-rich protein per 100 calories dietary El Dorado is hurting the poor of the Andes. Long served as a staple in the Aymara and Quechua cultures of the Andean Peru, Bolivia and Ecuador, quinoa was introduced to the United States in the 1990s. Once upon a time a good many in North America struggled even to pronounce its name (with “kee-nwa” imprinted between parentheses on many packages). But by the mid-90s, the health conscious communities (darest thou not call them a “sub-culture/New Age”) in the developed world fell enamored of it. The success of the quinoa phenomenon—one of an industrial magnitude—soon became a curse for the indigenous communities who grow it. The economic law (or some might still argue “theory”) of supply and demand is working to the detriment of the communities for whom the consumption of grains is essential and has erstwhile been affordable. As demands in North America and Europe rises so does the overall price of quinoa. Much of the Andean indigenous communities are poor—many rely on eating it for survival since pre-Columbian times. As the catastrophic phenomenon of global food insecurity is becoming a reality, the food choices of consumers in the developed world that are blessed with both choices and means, are unwittingly starving the Global South’s poor. This should at the very least raise more reflective and vocal debates and empathetic considerations. In the Peruvian capital Lima, for example, the average price of “the golden grain of the Andes” has shot up into the proverbial celestial altitude and is now more expensive than chicken. In 2013, there was even a shortage thereof despite the fact that more than 45,000 hectares of land are currently used in the production of the grain and 48,000 tons were produced that year. 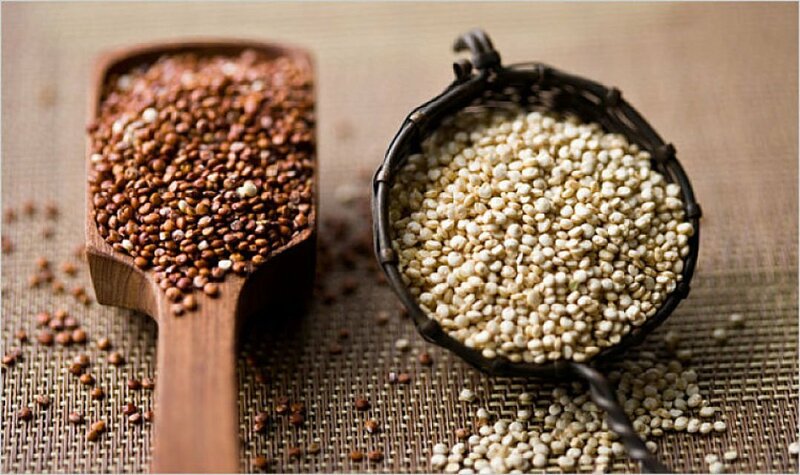 To give you some perspective, the price of quinoa oscillates between 16 to 18 Peruvian soles (5-6 USD) per kilogram (2lbs.). Now imagine trying to make ends meet while feeding a family of 5 people (the average family size in Peru) in a country where the GNI per capita is 4,700 +/- per year, in a region where the highlands are mired in extreme poverty and where the indigenous communities such as the Aymara and the Quechua live below the poverty line. That task is a lot more of a challenge than going to the gym for a run to burn off those carb and animal protein-induced calories. Please keep in mind that these numbers are averages—the numerical factors are most likely much more poignant in instances of poor rural families. Furthermore, the prevailing problem of insecure rights to land could have already opened up a putrid can of tragically hideous worms wherein investors expropriate indigenous lands. After all, it is still a phenomenon that occurs spasmodically in North America, why would it not be a possibility elsewhere? The optional consumption of quinoa in the developed world, thus, is—perhaps unwittingly—destroying the livelihood of those for whom its consumption is not a mere health choice. Thus, inarguably, the ethicality of such inconsiderate dietary choice is unjustifiably callus and lacking terribly both in empathy and commiseration because having choices itself is a luxury that only a handful in the world enjoys. By the way, if you think you can escape to eating tofu and now very trendy tempeh—lo siento—but the cultivation of soya is one of the two biggest causes of deforestation in South America. However, vegans and vegetarians, please do not feel excessively disconcerted from guilt. Only about 3% of South American soya is fed to you. The rest goes to feed us omnivorous second-hand vegetarians as animal feed.